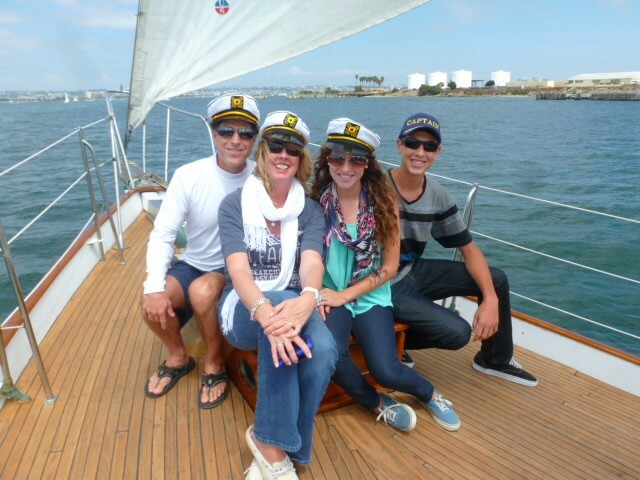 Regular Saturday public charters: San Diego Bay narrated tours, sunset champagne cruises, dolphin and whale watching. A Calm Day for a Sailing Charter offshore of San Diego. Sail JADA Charters offers regular Saturday public charters including San Diego Bay narrated tours, sunset champagne cruises and ocean whale and dolphin watching trips. Our San Diego Bay Tour cruise sails Saturdays from 12:30 noon until 4:00 PM, (unless a private charter has been scheduled for that day). Please contact us for availability. See calendar for exact times. Included: beverages and light snacks. Whale watching in season runs from January through March. During whale watching season JADA has whale watching sail trips most Saturdays (unless a private charter has been scheduled for that day). Please contact us for availability. 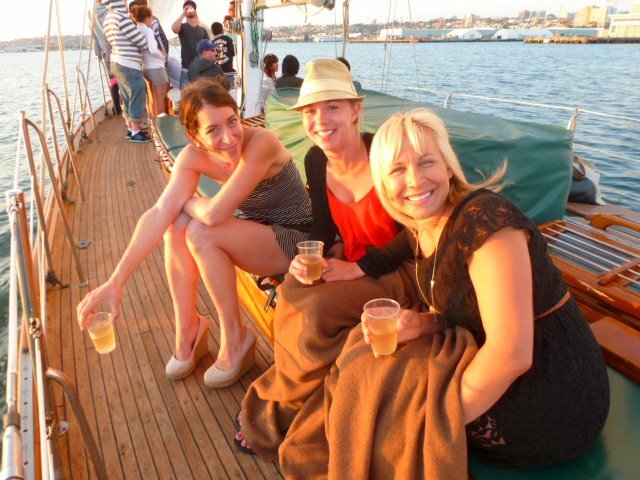 Our Sunset Champagne Cruises are available Friday through Sunday, (unless a private charter has been scheduled for that day). Please contact us for availability. Included: beverages and hors d’oeuvres. Public yacht charters are just one option with Sail Jada Charters. 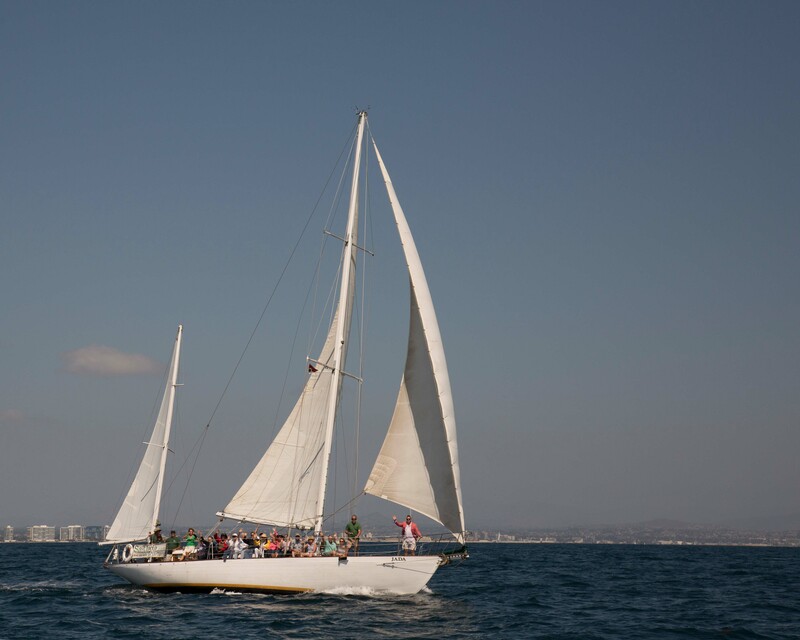 Individuals interested in private sailboat charters in San Diego can also invite their friends and family for weddings on the bay or memorials at sea aboard this beautiful yacht in San Diego. Please call (858) 222-9479 today to learn more.